Kachin Diabetes Solution by ‘John Gootridge’ is a pathetic scam you should keep your distance from. This latest diabetes scam reminds me of the popular scam Vedda Blood Sugar Remedy and in this review, you’ll find out why I said this and why you should never spend your money on this product. So let’s begin, shall we? Now what is this ‘miracle’ solution in this program that is giving the ‘big pharma’ industry sleepless nights? Well Gootridge claims that it’s all hidden in the traditional diet recipes of the Kachin people in Myanmar. Now how did he discover this? The backstory is interesting so I’ve decided to retell it. So enjoy! Anyway, after waking up in the ER and hearing doctors telling him to consider amputating his foot, Gootridge says that he then realized at that point that he was going to ‘make a change.’ Presumably with his hand across his chest, he vowed to defeat type 2 diabetes without drugs, which he accused of putting him into the horrible situation he found himself in. For months I searched the internet, read journals, visited libraries, spoke to researches, visited universities, doctors you name it! I even spoke to other diabetics and holistic doctors looking for some type of remedy or suggestion to help control my diabetes. This effort yielded nothing, however, and he apparently gave up. Until on one fateful day while eating out with his brother at a Burmese restaurant in Chicago, he met a Burmese waiter named ‘Denpo’ who apparently hasn’t heard about diabetes. According to Gootridge, the waiter responded, ‘what is diabetes?’ when he asked for a diabetes-friendly meal. This response suddenly lit up a ‘lightbulb’ in Gootridge’s head and he had his ‘aha’ moment at that instant. In the end, Denpo hands Gootridge ‘an ancient old cookbook’ of Kachin recipes. Gootridge gets introduced to ‘Nyan San’, Denpo’s high school friend and a ‘researcher’ at ‘Technological University in Myitkyina.’ This Nyan San then went to work in his lab to make recipes and ‘fitness plans’ using the ancient Kachin cookbook … and several ‘successful tests’ later, Kachin Diabetes Solution was born. I hope you enjoyed the story? Now let’s go to the reasons why Kachin Diabetes Solution is a scam, shall we? As far as I can tell, the man in the photo is most likely a paid actor ‘screenshoted’ out of another video. I’ve seen that done before, and I think I’ve seen his face in an older scam video. Bottom line: John Gootridge is unverifiable. Red flag! As you read earlier in the backstory, Gootridge was trying to sell us this belief that Nyan San is a ‘certified nutritionist’ at Technological University in Myitkyina. On searching for information about this university, not only did I find out that it was only upgraded to a university in 2008, but it doesn’t even offer any program in the medical sciences. This now begs the question: What kind of ‘nutritionist’ is Nyan San? A medical researcher that works in an engineering-focused university? To make matters even worse, this university doesn’t even have a biological or biochemical department, and all the degrees awarded are purely engineering bachelor degrees. It also doesn’t help that the university doesn’t have an official website. The best English source of information about this university is a short, very badly written Wikipedia article. If this doesn’t make you scratch your head in confusion, I wonder what will. 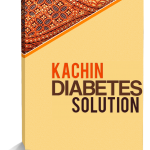 Kachin Diabetes Solution only features a video testimonial of a woman testifying to the effectiveness of this program in the fight against type 2 diabetes. Now even though the video looks genuine and not professionally produced, I still find it very hard to believe that it is a legit program. As far as I’m concerned, she too is a paid actor hired to read a script. I see that all the time in scammy programs like this. So take whatever she’s saying with a pinch of salt. However, when you click on the Buy button to purchase the program, you’re met with more testimonials with photos. Well guess what? They are fake, made with stolen photos! ‘Lisa Sommers’ is a stock photo from … you guessed it, Unsplash. Both programs claim that their respective remote tribes (Veddas and Kachins) have never had, and will never have diabetes, thanks to their ‘ancient’ diet recipes. Speaking of recipes, both programs made the same claims about coconut oil and spices. In my Vedda Blood Sugar Remedy review, I proved how wrong the scammer was about the Vedda people and coconut oil. So by copying the Vedda scam, the scammer behind Kachin Diabetes Solution has proven that he too doesn’t know anything about type 2 diabetes. In fact, the Kachin scammer didn’t even bother to authenticate his claims with citations of medical research papers or even news articles. I searched and searched for such papers or news articles and I found none. That explains it. Final Conclusion: DON’T BUY Kachin Diabetes Solution. It is A SCAM! Unfortunately you are going to have a hard time getting a refund if you ask for one, because there is no guarantee that these scemmers will ever honor their 60-day moneyback guarantee. The best thing to do is to file a card dispute with your bank if they fail to honor your request for a refund. Delicious – the Ultimate Diabetes Cookbook. This is a book full of tasty, diabetes friendly recipes that is suitable for the whole family. It is designed to help diabetics enjoy a variety of tasty dishes instead of eating the same bland, boring foods just because you have no options. The cookbook covers everything from breakfast to dessert (369 recipes in total), as well as tips on how to eat properly as a diabetic. And it costs ONLY $12.95! Get the book now or read my review for more details. Nerve Renew. This is a supplement designed towards dealing with the symptoms associated with neuropathy. Now since diabetes is a major cause of neuropathy, I think Nerve Renew is one of the best supplements you can use to deal with it if you don’t want to resort to the mainstream drugs. Get the supplement now (Amazon affiliate link) or read my review for more details. Now these programs will NOT cure your diabetes, but will help you control it and hence, improve your health. And of course, you can always get your money back if you are not satisfied with them.